Hertz offers car hire in Belfast which will allow you to explore this wonderful capital city of Northern Ireland. Belfast is a great place to visit all year round with attractions like the Waterfront Hall, which plays host to many of the cities concerts, exhibitions and conferences. You can also visit the Belfast City Hall, the Big Wheel, Stormont Castle and of course the Titanic Quarter. 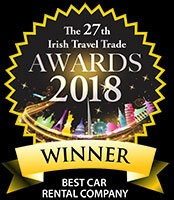 Car hire in Belfast will allow you to drive around the city and give you the opportunity to explore the city at your own pace. You will also be able to visit nearby towns which include Carrickfergus, Larne, Bangor, Lisburn and Portadown to places a little further afield but by no means out of reach like Dublin, Derry and Sligo. So don’t just arrive in Belfast, drive in Belfast. If travelling to the Southern Ireland please be mindful of the change from Miles to Kilometers.